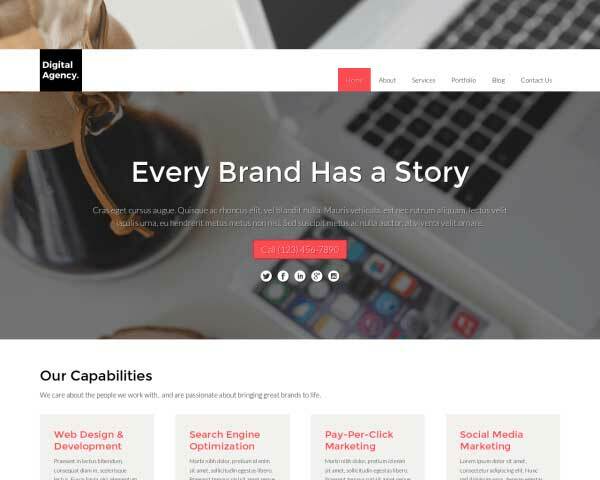 Why waste time building your site from scratch when you can fill in this responsive pre-built template and have your complete website finished in no time! 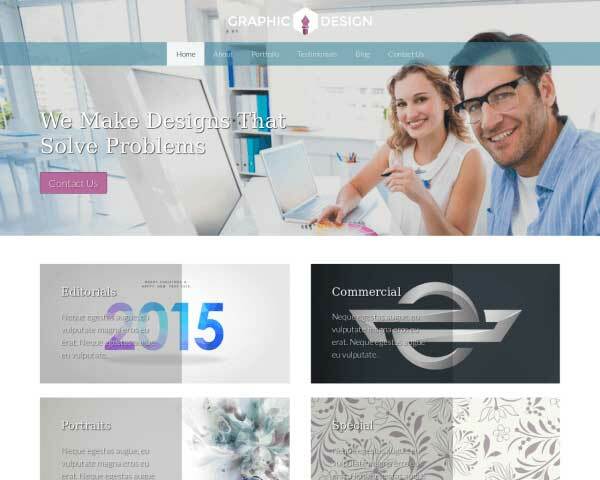 The Web Design Agency WordPress theme requires no coding at all. 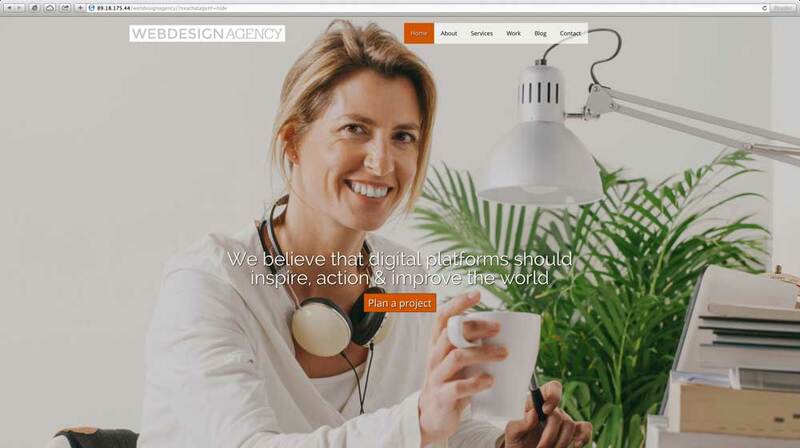 If you're used to building and customizing websites with coding and plugins, you won't believe how quickly and easily you can create a new website for your digital services with the Web Design Agency WordPress theme. 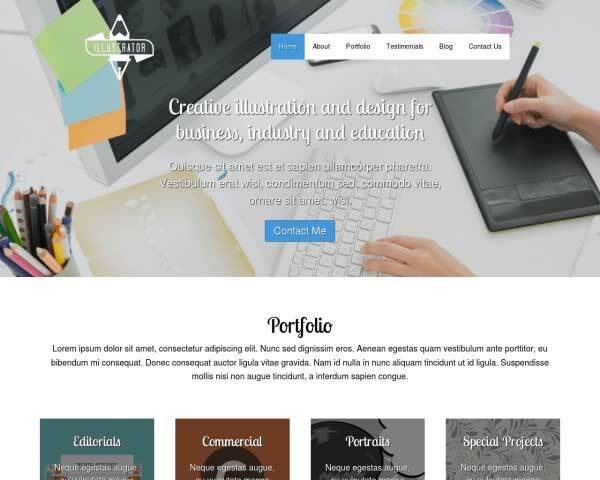 This pre-built web template comes complete with a project portfolio and pages already set up for your creative services, company profile and contact details. Designed to get your website online fast, simply replace the images and text to get the job done in no time. Customizing the color scheme and layout is simple and requires no coding at all using our powerful front-end editing tool. You'll be able to drag and drop images and blocks of text and display content in columns without HTML tables. Maintaining your website with text changes and new content can be handed off to anyone on your team who can manage a simple CMS. We've included great features that would normally involve complicated coding or a search for the perfect plugin, like beautiful lightbox image galleries, social media options, and built-in contact forms. With our helpful SEO manager and mobile-optimized design, your website will impress prospective clients, raise your online profile and bring in new business. 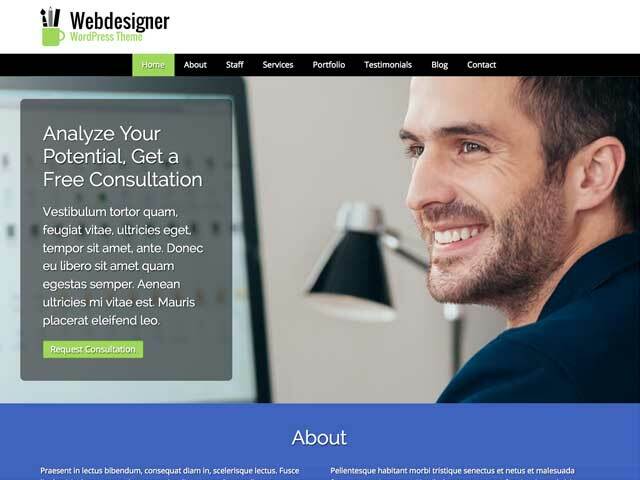 Build a state-of-the-art website faster than ever before with the Web Design Agency WordPress theme. 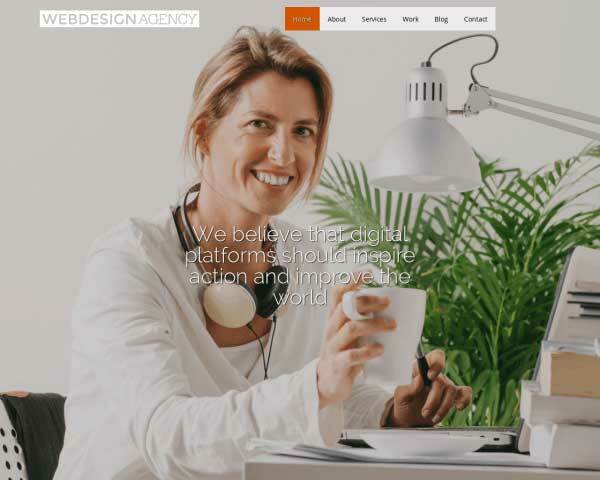 The Web Design Agency WordPress Theme comes pre-designed with inviting colors and a clean layout, all that's remaining is to add your details and you're ready to take the design industry by storm! 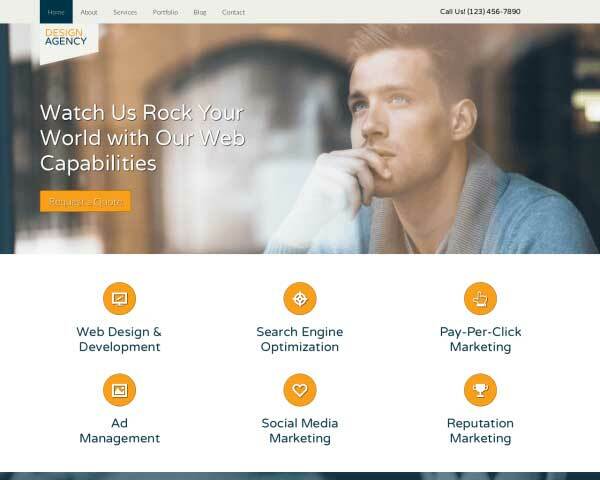 The homepage of the Web Design Agency WordPress Theme displays a neat overview of your services, offering visitors quick navigation to pages with more information. Naturally, as an design firm you'll want a solid portfolio gallery. 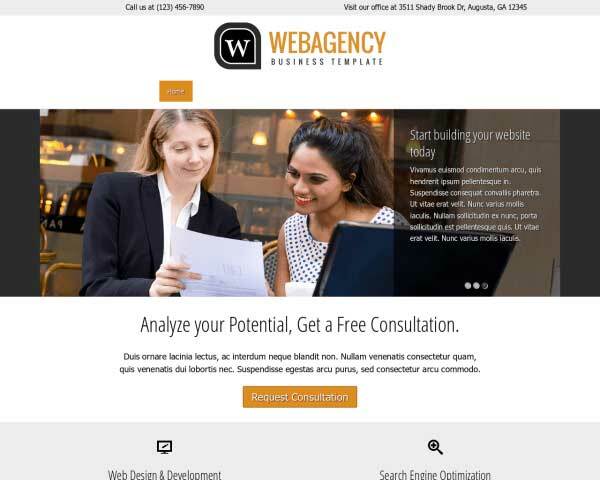 With the Web Design Agency WordPress Theme you've got that area covered. 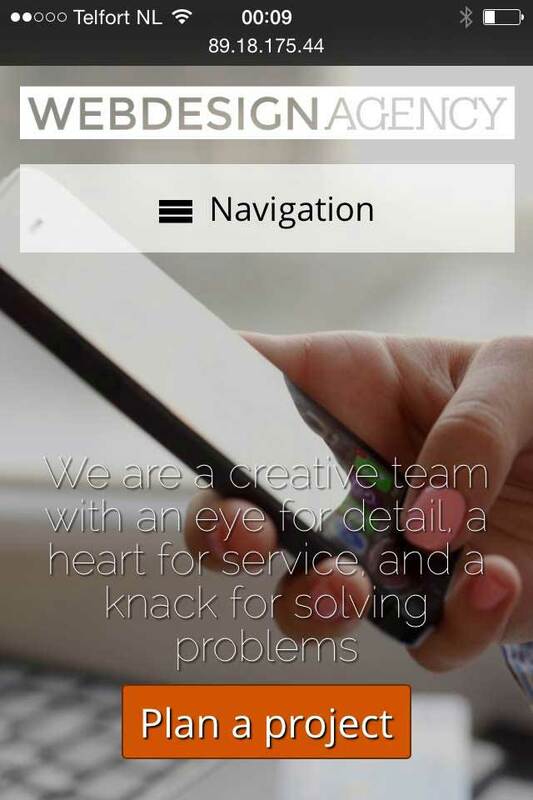 Introduce your team of web designers on the about us page of this pre-built WordPress theme. Including photos and short bios gives your website a personal touch. Our Web Design Agency WordPress Theme comes with icons for the most popular social media platforms, with no extra plugins required. Make it easy for visitors to follow you online or share your content. Show prospective clients that they'll be in good company with a list of companies and individuals that have trusted you to take care of their needs. 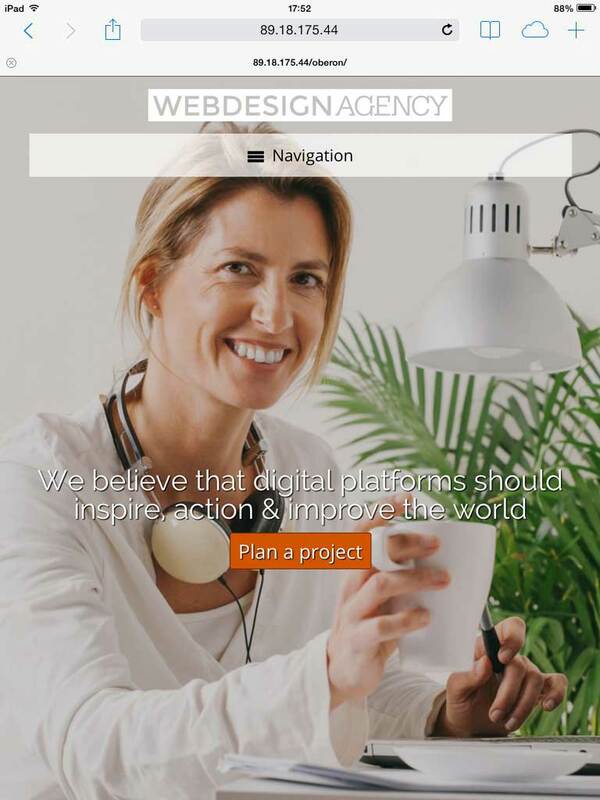 The contact page on the Web Design Agency WordPress Theme is set up with space for your contact details, an integrated Google map and a route planner. 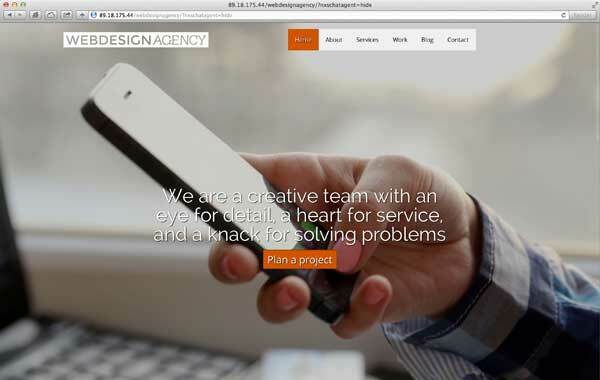 Share news and articles on the Web Design Agency WordPress Theme's built-in blog. Regularly updating your your website with relevant content can help boost search rankings. Before creating the Web Design Agency WordPress Theme, we first researched the specific business needs of web designers. We've built in premium features to help you grow your business online. With so many new smartphones and tablets entering the market every year, you never know what type of mobile device visitors will use to access your pages. Make sure that your new website with dazzle them even on small screens when you build your site with the responsive Web Design Agency WordPress theme. Right out of the box, its mobile-optimized design will automatically adjust the layout of your content to render beautifully on any screen size, without any tedious coding or extra plugins required. Mobile visitors will experience the same professional look and user-friendly functionality of the desktop version, plus the ability to tap on your phone number to dial or tap your email to open a new draft.